The Zeiger Family Homestead Blog » Noises Off! 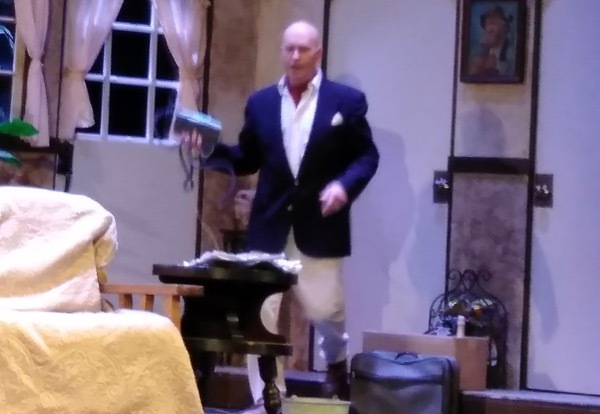 Tonight and tomorrow afternoon, I’ll appear in Noises Off by Michael Frayn on stage in Haines. That will end a four-show run, and over two months of rehearsing, often 6 days a week. If you’ve noticed any decline in blog quality since January, this is largely why! I tend to write about what’s on my mind. I’ve had time for little else since February, with a few read-through evenings in January; I didn’t want to dwell on it here, as I did with past productions of Incorruptible (see “The Show Must Go On”) and, particularly, The Lion in Winter. But, I need to acknowledge it. Even as I attended to the work of the homestead, which has sadly taken second place to this commitment, I did so with the lines recordings playing in my ears. If you’ve seen the play, or at least the movie, I play Frederick Fellowes/Philip Brent, or, in the short hand everyone seems to understand, I’m “the nose-bleed guy.” Which, of course, means that of all the trouser-dropping that occurs in the course of the play’s action, I’m the actor who spends the most time with his pants around his ankles. My late mother would be so proud! The show’s humor is rather broad . . . .
Mark, a.k.a. Freddie, prepares for his next disaster or humiliation (Photo: Michelle L. Zeiger). It’s been a fun production, with a cast of 9, mostly people I haven’t worked with before. Some are friends from before the production, some are people I’d heard of in town, but am only now getting to know personally. So far, it’s been a huge success, and will only get better as we progress. I’m pleased that a friend from Juneau, who originally introduced me to the play not long after Aly was born, will come up with her husband to see us perform. Not that I’m not nervous about that—she knows more about the play than almost anyone I know! The Lynn Canal Community Players Noises Off set (which, incidentally, Aly helped paint). It rotates 180 degrees between acts (Photo: Michelle L. Zeiger). This is the evening commute I alluded to in the post, Spring Breaks. The course of rehearsal trips included getting the car stuck in the snow one night while trying to offer a ride to a fellow cast member, icy trails, and other misadventures. I did manage to make every rehearsal, though, and I’m proud of that. Once it’s done, I won’t be able to deny a feeling of great relief. 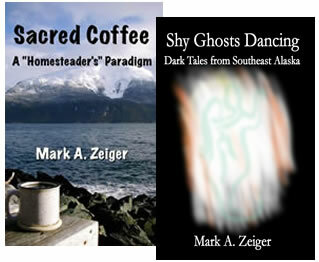 I will get to return to listening to audiobooks while I work (see Voices in My Head), and to actually work, rather than fitting the increased activity and responsibility of spring on the homestead into the rehearsal/performance schedule. Life should return to what passes for normal. There’s a lot to do around here, and a lot that got left undone until the play closed. 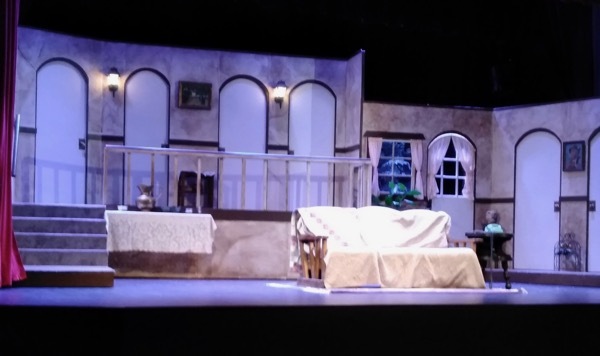 Just For Fun |	 Community Theater, Noises Off!